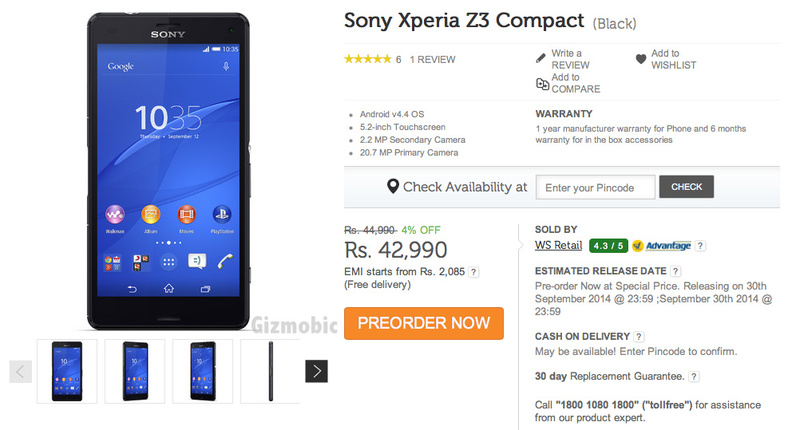 Few days back, Sony had officially announced Xperia Z3 and Xperia Z3 compact in India for Rs 51,990 and 44,990. By applying some logical tactics on its pricing, Flipkart(may be with Sony’s partnership) has just listed both these devices for Rs 49,990 and Rs 42,990 respectively. Both these devices will roll out on September 30th and you can pre-order them right-away. Undoubtedly, they are much costlier. But Sony never ship junk products, they are always shipping quality products since the outbreak of “Ericsson”. They started their premium devices roll out by firstly launching Sony Xperia Z, their first water proof smartphone with incredibly amazing build quality and poor viewing angles, all followed by Xperia Z1, Xperia Z2 and now Xperia Z3 with better processor version and improved camera.